Manchester United manager Sir Alex Ferguson has reiterated his belief that summer-signing Nick Powell has the quailty to replace Old Trafford veteran Paul Scholes. Powell, a £4 million signing from Crewe, netted 11 minutes into his United debut when he completed the scoring in Saturday’s 4-0 win over Wigan. And Red Devils boss Ferguson has high hopes for the 18-year-old midfielder. “Powell is going to be a really good player who, we hope, will fill Paul Scholes’ boots in terms of he’s got terrific vision, good temperament, two great feet, is quick and is a great striker of the ball,” Ferguson told MUTV. Continue reading ESPNFC’s Fergie: Powell can fill Scholes’ boots. While goal.com looks at how Powell made a superb first impression against Wigan but will his bright start condemn the declining Frenchman or spark him back to former glory? As Alexander Buttner ran along the byline at Old Trafford, basking in the adulation of the 75,000 fans who had just witnessed the Dutchman score on his debut, a mischievous cameraman zoomed in on a pensive-looking Patrice Evra sat on the bench. If he hadn’t realised it already, the French full-back, who has held his spot in Manchester United’s starting XI uncontested for almost six years, now knew that his place was under serious threat. The former Vitesse Arnhem left-back had a tremendous match against Wigan. A constant outlet down the left flank, he attacked with speed, energy and persistence. That dogged attacking play eventually saw Buttner fire a cross-come-shot into the path of Chicharito to double United’s advantage in the 63rd minute. The Dutchman wasn’t finished, though, and within minutes he was embarking on a run that would put the Red Devils out of sight. First he toyed with Aroune Kone, breaking free of the Ivorian’s challenge, before bursting past Emmerson Boyce, shimmying around James McCarthy then side-stepping Ivan Ramis as he drilled the ball into the back of the net via Ali Al-Habsi from the tightest of angles. 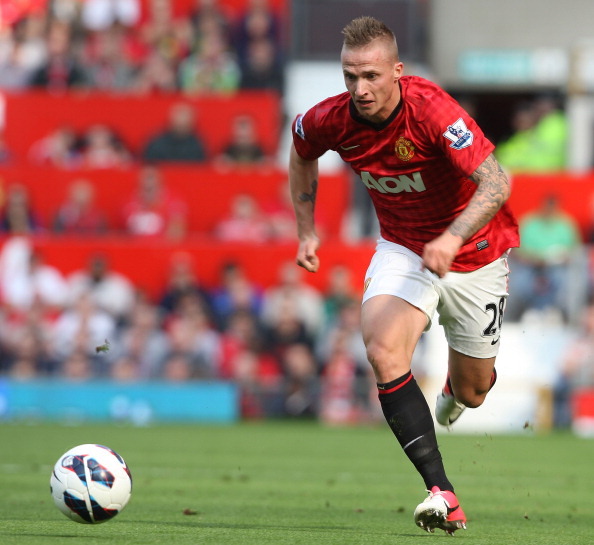 A goal, an assist and a man-of-the-match performance for Buttner appeared to foreshadow a changing of the guard. The man whom he hopes to succeed, Evra, has been on a downward spiral over the last year, best exemplified by Laurent Blanc’s decision to drop him during France’s Euro 2012 campaign in favour of Gael Clichy. But is Buttner a replacement for the 31-year old Frenchman, or a means to spark him back to life? Continue reading Ewan Roberts’ Does Buttner’s brilliant debut spell the end of Evra’s Manchester United reign?